Copyright © krystal Emporium - This image is copyrighted. Unauthorized reproduction prohibited. 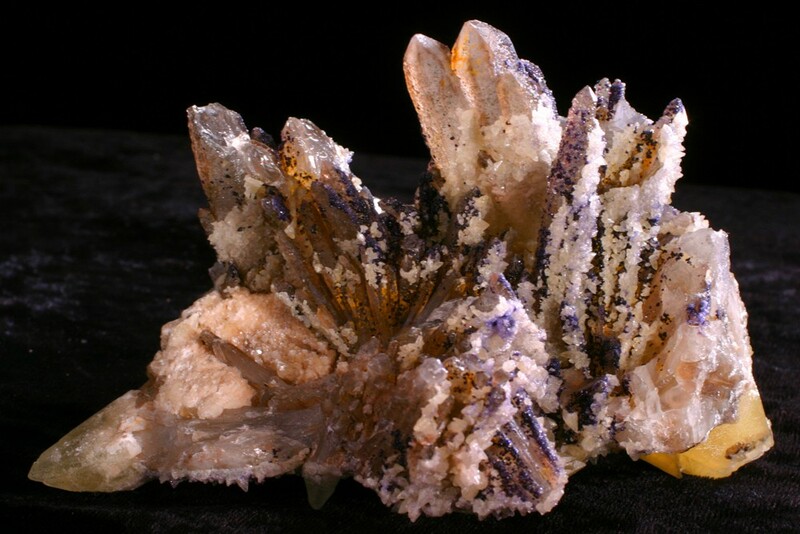 Aestetic quartz cluster with calcite and pourple fluorite. 75mm. x 60mm.